Introduced in 1928, the ‘Brooklands’ dominated the 1,100cc class in international competition and was nowhere more in its element than at Brooklands. The 1927 prototype won its first race – the ’90 short handicap’ – dramatically at a speed of 91.37mph, while setting a fastest lap at an astonishing 98.62mph, driven by Reid Railton. 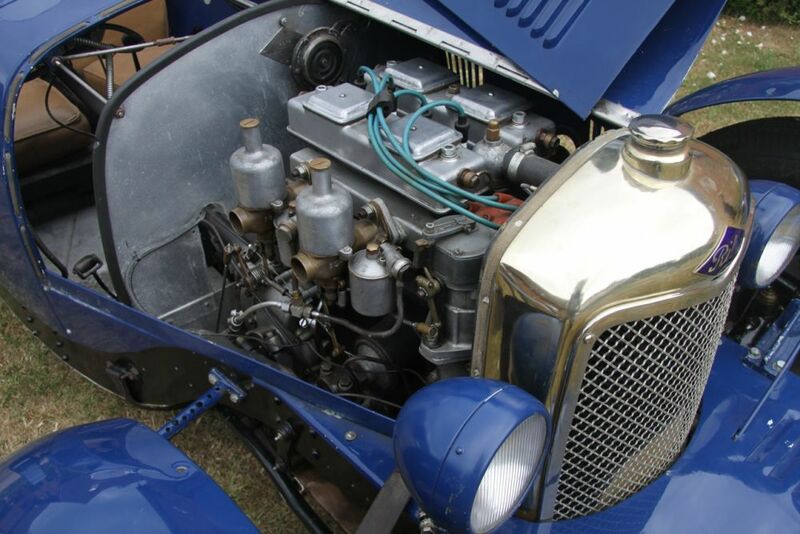 1932 was perhaps the most significant year in the ‘Brooklands’ racing history with outright wins in the Junior Car Club’s 1000 Mile Race, the Ards Tourist Trophy Race and a 2nd place in the Brooklands 500 Mile race. 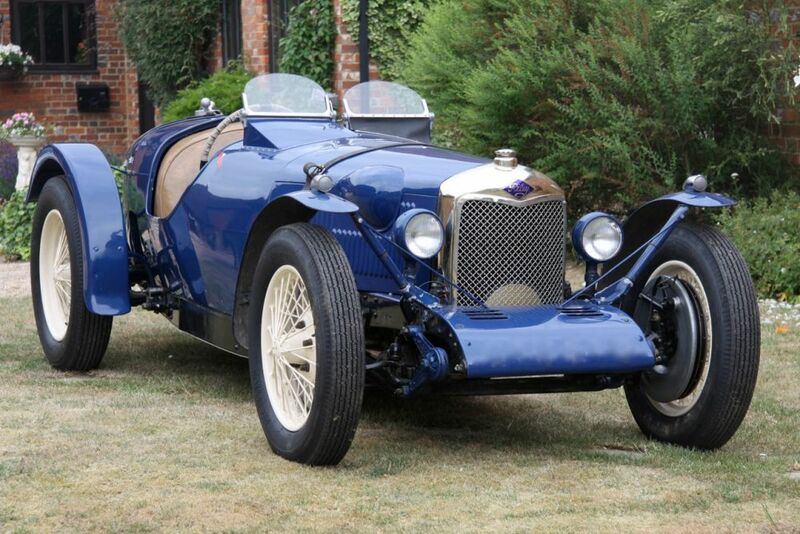 Noted drivers who campaigned the ‘Brooklands’ model included George Duller, Victor Riley, Le Mans winner Sammy Davis, George Eyston, Jack Dunfee, John Cobb, and the Hon. Brian Lewis, while chain smoking Middlesbrough garage owner Freddie Dixon cut his teeth on a ‘Brooklands’ Riley, much modified to his demanding standards. 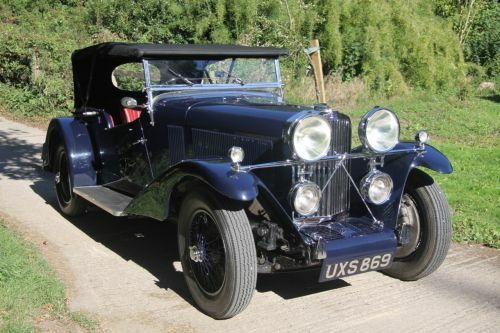 This matching number Riley Brooklands offered today is believed to be only a three-owner car. Riley specialist Barbara Farquhar’s 1981 accompanying notes reveal talking to the second owner, “a Mr D.O. Bennie who first saw the car in 1928 or 1929 when owned by a local Scottish foundry manager. 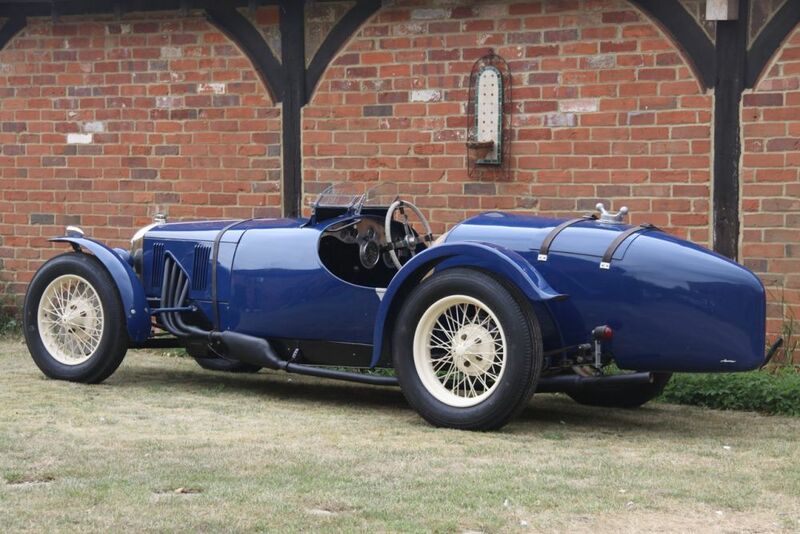 He put his name on the little Riley, which he was eventually to buy in the 1950s”. 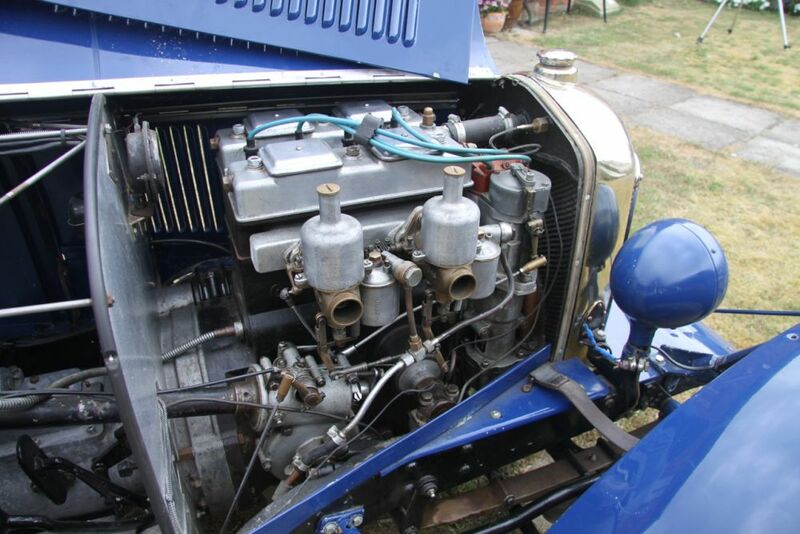 Purchased by the vendor in 1978 via Riley specialist Nev Farquhar, he declared chassis no. 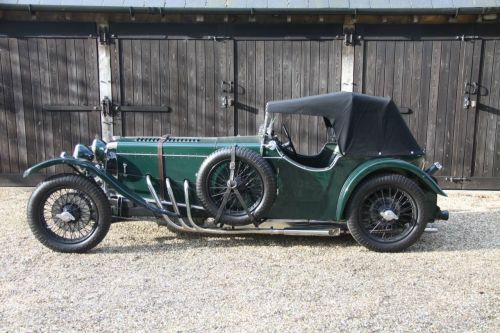 8016 to be in ‘marvellous condition with no corrosion’, and one of the first standard production MkI cars sold, production commencing with chassis number 8001 in 1928. 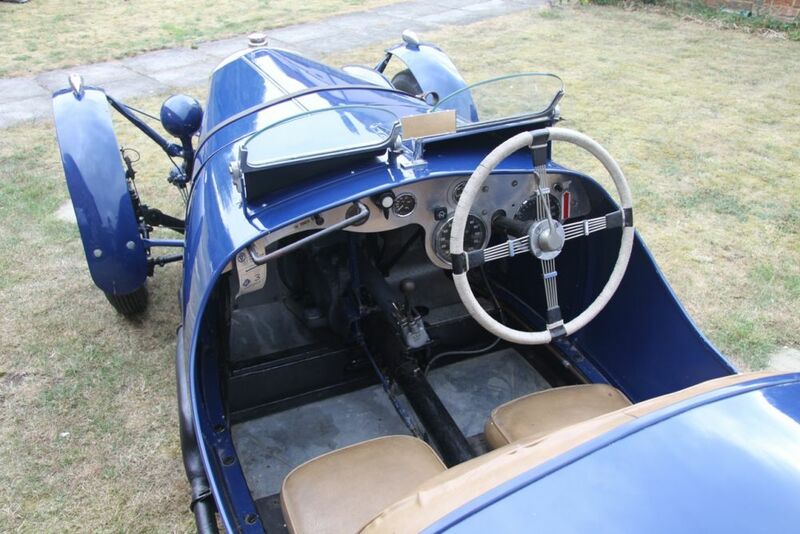 Fitted with full Barrie Gillies race engine no 7628, the specification includes a large counter balanced Gordon Allen crankshaft, Carrillo rods, high compression pistons giving 9.2:1 compression, and a Barrie Gillies commissioned race cam. A lightened flywheel with much tougher AP clutch is fitted to the close ratio gearbox, and a more efficient Lucas magneto replaces a BTH. 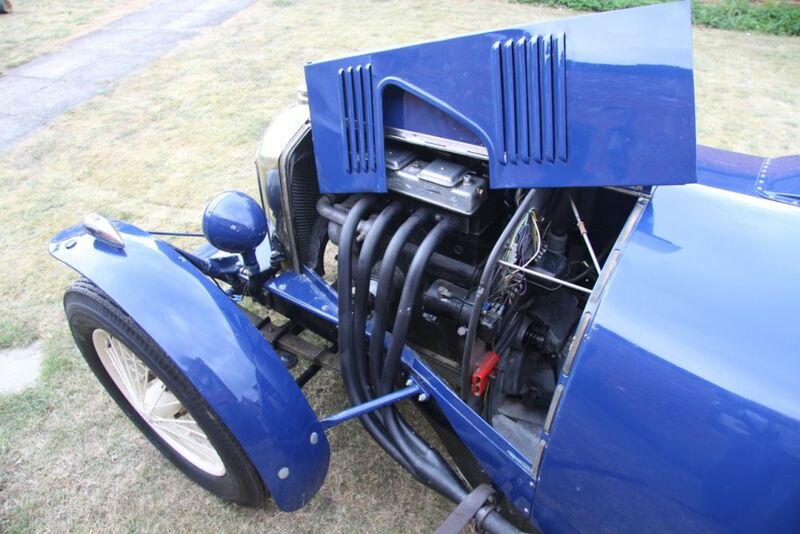 A lower rear axle ratio makes the car highly usable and much more tractable for club racing, sprints and hill climbs, bearing in mind in period these cars competed in long distance events. A complete new radiator was also made to compliment the competition engine. Larger front brakes and front axle at present substitute the smaller original Perrot type axle also included in the sale. All four wheels have just been refurbished and fitted with new 18” rear and 17” front tyres. A new and lighter weight aluminium body was made for the present owner, together with a new aluminium fuel tank. In addition to the car sporting its’ original chassis, original rear axle, and original gearbox, also included in the sale is the original matching number engine no. 5864 with Brooklands sump, original front axle and Perrot front brakes, spare set of Omega racing pistons, a pair of spare 17” front wheels and a rebuilt BTH magneto. 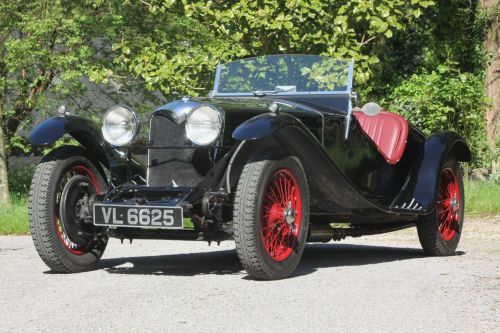 Together with Swansea V5, history file, current MoT and road licence, this highly respectable vintage car gives access to not only a wide range of VSCC events and competition, but also numerous other prestigious historic events.